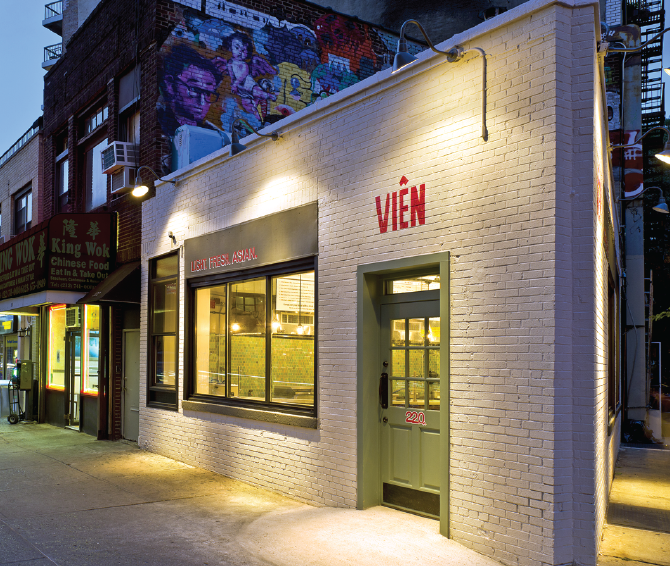 The other day, the Mister and I decided to check out Vien, a new quick eats spot in the West Village, after a thumbs up recommendation from Team Finance Foodie's Simone. 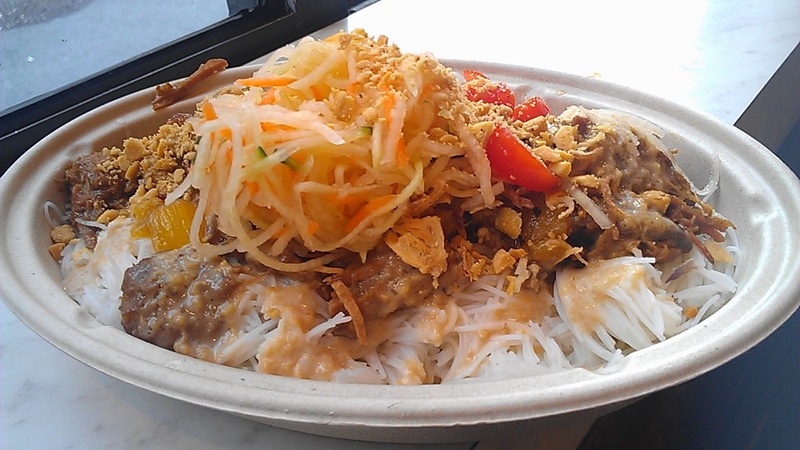 Dubbed the "Asian Chipotle", Vien offers light, fresh and relatively healthy customizable noodle and rice bowls topped with assorted meats and dressing. When we arrived, we were greeted by Mark, the cheerful and hospitable owner with fantastically stylish glasses. The space itself is fairly small and more suited for grab and go (most of the business is lunch focused from the hungry media/advertising company employees in the area anyway), but we decided to sit down and people watch from our bar side bench. Ordering is quick and seamless at Vien - first, you choose a base (noodle, rice or salad), then a main (pork, beef, chicken, tofu or veggies), and then everything is finished with your choice of sauce and extra toppings. The combinations are endless and, unlike Chipotle, the flavors are varied depending on the combination/sauce you chose. For less than $10 a bowl, Vien provides a hot and healthy lunch that leaves you feeling satisfied but not sluggish - if I worked closer to the area, I'd for sure be here on the regular. Bottom line: if you are looking for a flavor filled fresh taste of the Orient on the run, Vien is the spot for you. Crescent Grill: LIC’s New “New American” Rocks! Mother’s Day Gift Guide: The Hot 10!